Cotswolds walks are for everybody who wants to enjoy the benefits of walking as a form of physical exercise on one hand and the beauty of the Heart of England. While the former is good for the body, the latter is good for the soul – and both equally important in our hurried and harried world. These walking tours are also great for all hiking inclinations, be it in happy solitude or in the happy company of other hikers. With its leisurely paces, walks along the Cotswold countryside and a few urban centers are the perfect way to savour the grand beauty of England’s largest Area of Outstanding Natural Beauty. Yes, Cotswold is beautiful in all seasons –, vivid hues of autumn, white wonderland of winter, vibrant colors of spring, and brilliant skies of summer are all waiting for visitors to enjoy. 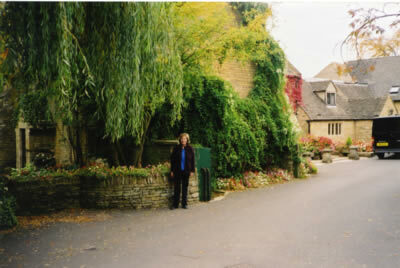 Of course, it is necessary to plan your Cotswolds walks to accommodate the demands of each season. Sturdy walking shoes as well as appropriate clothing and hiking gear are all musts. We always suggest asking experienced walking tour guides for more information on self-guided tours although guided tours usually provide for information on what to expect during the tour. Visitors will not run out of paths to tread on, sights to marvel at and sounds to enjoy either. There are over 3,000 miles of footpaths available to the public with a few private estates allowing hikers to pass through their property. These footpaths offer the best scenery in all of England. Many of these footpaths lead to city streets and then back to country roads. The Cotswolds walks definitely take their hikers from the best of English country to the best of English cities including London itself. Along the way, hikers encounter sleepy ancient limestone villages that are in sharp and yet pleasurable contrast with the bustling glass-and-concrete jungles of the cities. Now that you are convinced of the great adventure that awaits you on your walking tours of the Cotswolds, your next step is to plan when and where you will go. The following are the most popular although you need not fear crowds – the Cotswolds is too large for crowds to become unruly mobs. 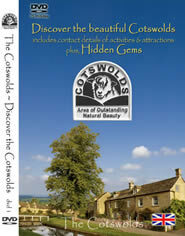 You can also choose to plan your own Cotswolds walks around your rental cottage. No matter which route you take, adventures are on your way!